We have a very successful show at the Seattle Golf Show last weekend. Innovation Golf was the major sponsor and we hosted the putting contest. There were two different putting greens. One 60 ft.and one 30 ft. There were line ups throughout the show (3 days) on both greens. Here are some pictures of our successful demo event at the Golf Digest Hot List Tour - WGC Cadillac Champsionship at Doral on March 7th 2013. Innovation Golf was the showing off the new Clearblade putter and also the Classic Clearball putters to many of the players and spectators. GolfTest USA has tested 100's of putters over the years but we have to say that the ClearBall putter from Innovations Golf could very well turn out to be the best designed putter we tested to date. In summary, the objective results and subjective evaluations completed by the testers showed clearly that the ClearBall Putter performed at a much higher level than the testers' own putters in this test. The testers rated the alignment feature of the ClearBall Putter at a very high level. A rating of 9.1 was achieved in the very important Alignment criterion. The ClearBall Putter is designed to help golfers ensure that they are in the proper address position and aligned to the correct line and the hole prior to making a putt. Another key rating was the Appearance criterion which scored very high. It is also noteworthy that the Overall Rating criterion was so positive especially in relation to the rating the testers gave to their own current putter. The results of the test confirmed conclusively that the design features of the ClearBall putter offers superior performance that will help almost all golfers putt better and reduce the number of putts they make per round. Skilled golfers got excellent results using the ClearBall Putter. 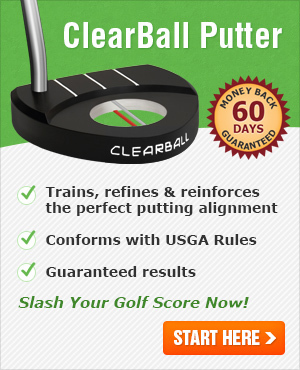 But where the ClearBall Putter really stood out was with average to poor golfers who have trouble with their putting. The test results showed that these golfers were able to make more putts from inside ten feet using the ClearBall versus the golfer's own putter in the test. Also, the results show that putts made from longer range ended up closer to the hole resulting in fewer three putt greens. Based on the results of the test we are confident that most golfers will be able to improve their putting and lower their scores. We are pleased to award the ClearBall Putter our coveted GolfTest USA "Seal of Excellence". Details of the test and the test results can be read here. He hit a target half the size of a regular hole, 20 feet away. He can achieve this mainly because of the alignment design of the "Clearball" putter. h3>2012 Golf World Pacific Amateur Classic at Bend, Oregon. Innovations Golf will be a sponsor at the 16th Annual Golf World Pacific Amateur Golf Classic on the 26th of August. 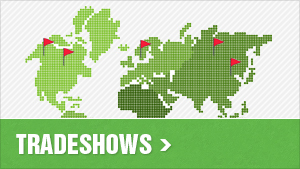 Innovations Golf be at Booth#1127 at this years 2012 PGA Expo Show from August 21st to 22nd.